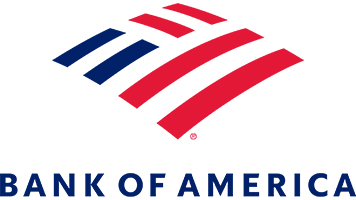 Global Corporate Strategy, including its divisions Core Strategy, Corporate Development and Global Principal Investments, is responsible for guiding the overall strategy of Bank of America, driving ongoing strategic dialog with senior management and the Board of Directors, as well as ensuring close coordination with Bank of America’s eight lines of business to evaluate and execute strategic initiatives, equity investments, M&A and other strategic transactions. • Driving creation of detailed analyses and presentations across a diverse range of topics for the CEO, Management Team and Board of Directors. • Partnering with the lines of business and enterprise functions throughout the strategic planning process and leading the development of the bank’s strategic planning activities and other strategic initiatives. • Managing internal and external strategic relationships to maintain a current view on relevant market trends. • The Vice President will gain exposure to senior leaders across the Bank with a focus on Bank of America’s strategic priorities and will build expertise in corporate strategy. Given the relatively small size of the groups within Corporate Strategy, the Vice President will have the opportunity to immediately assume significant and diverse responsibilities working closely with senior members of the team. • The team is composed of approximately 40 employees located primarily in New York and Charlotte, with small teams in Chicago, London and San Francisco. • Minimum 8 years of experience in Investment Banking, Management Consulting, Private Equity or Corporate Strategy. • Advanced financial modeling and quantitative analysis skills, with emphasis on strategic thinking and creativity to solve complex problems. • Strong written and oral skills, with experience presenting to senior management. • Deep knowledge of the financial services industry and corporate finance. • Strong work ethic, proactively manages multiple high priority projects and works effectively leading a team. • Demonstrated versatility to complete ad hoc requests under tight time constraints.